The Fairy Tale Fair, Patcham: Saturday 12th April!!!! Whilst the Craftaganza Crew are currently taking a break before our Christmas 2014 event, there are plenty of other awesome craft/handmade events taking place in and around Brighton to whet your whistle. One of the best is the family-friendly Fairy Tale Fair in Patcham, and there next event is on next Saturday 12th April. Launched in Summer 2012, The Fairy Tale Fair is back this Spring for an Easter special. The previous fairs were huge successes and have received rave reviews from local press, visitors & stall holders alike, with features on The Crafts Institute, The Argus, and many more design & craft sites. 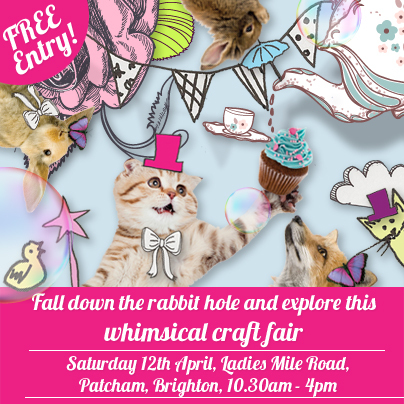 Saturday the 12th April 2014 (10.30am – 4pm) will see Patcham Methodist Church (Ladies Mile Road, Patcham, Brighton) filled with over 35 craft & vintage stalls. These will include Easter gifts, prints, jewellery, handmade creations, a craft workshop room, vintage items, accessories, face painting and a vintage themed tearoom with lots of homemade Easter & Spring time treats by Rosehip Vintage Sussex! The day is designed to bring the community together and as a great day out for all ages. The Fairy Tale Fair is the creation of Claire Montgomery. Claire is a Brighton based designer & illustrator who graduated in 2011. 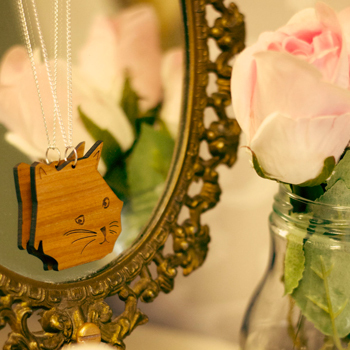 Since then she has gone on to work full time at Republique- a design studio in Hove, create her own greeting card range and most recently has launched her own laser cut jewellery range. 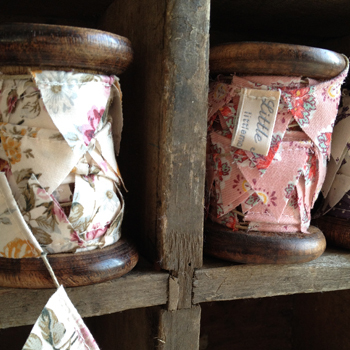 You can find out more about Claire’s creations on her website. Claire will be just one of the talented stall holders at The Fairy Tale Fair with unique gifts and lots to keep the kids entertained during the Easter holidays. Entry is FREE so bring along the whole family and all your friends! Please see their blog for interviews, updates, location and links to social accounts. Don’t miss out- it’s going to be magical! You can read what others have said about the fair on the blog here. 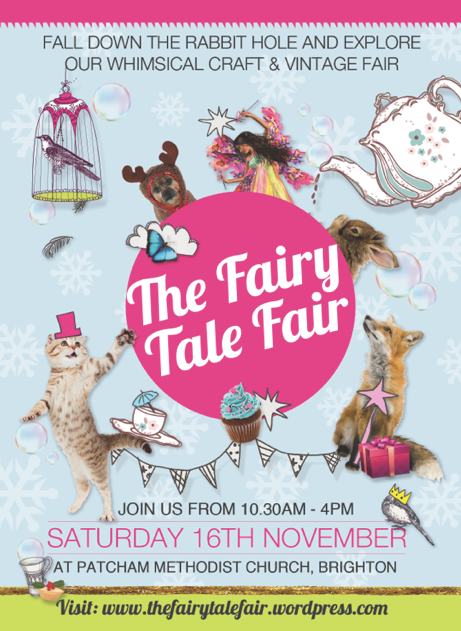 Fairy Tale Fair: Saturday 16th November!!! 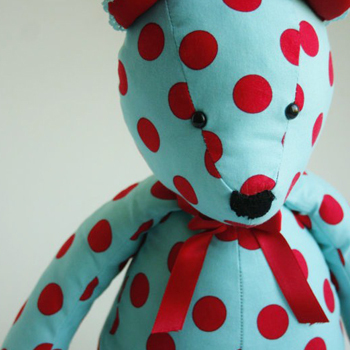 Find out why this whimsical craft fair is causing a buzz across Sussex. Launched in Summer 2012 The Fairy Tale Fair is back this Christmas for a festive special. The previous fairs were huge successes and have received rave reviews from local press, visitors & stall holders alike. Saturday the 16th November 2013 (10.30am – 4pm) will see Patcham Methodist Church (Ladies Mile Road, Patcham, Brighton) filled with over 35 craft & vintage stalls. These will include prints, jewellery, handmade creations, a craft workshop room, vintage items, accessories, face painting and a vintage themed tearoom with lots of homemade yummy treats! The day is designed to bring the community together and as a great day out for all ages. There is also going to be vintage singers, and Patcham Youth Silver Band will be joining us at 1pm. The Fairy Tale Fair is the creation of Claire Montgomery. Claire is a Brighton based designer & illustrator who graduated in 2011. 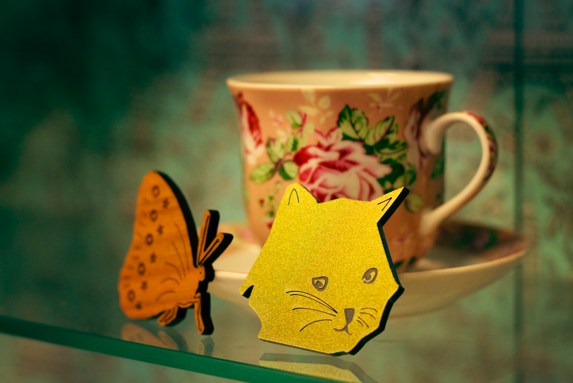 Since then she has gone on to work full time at Republique- a design studio in Hove, create her own greeting card range and most recently has launched her own laser cut jewellery range. 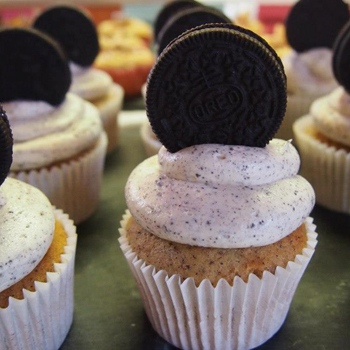 You can find out more about Claire’s creations on her website: http://www.catacakecreations.co.uk. Claire will be just one of the talented stall holders at The Fairy Tale Fair with unique gifts and lots to keep the kids entertained for the festive season. Entry is FREE so bring along the whole family and all your friends! Please see their blog for interviews, updates, location and links to social accounts. Don’t miss out- it’s going to be magical! Fairy Tale Fair: This Weekend!!!! If you were able to swing by our Spring Brighton Craftaganza craft market last weekend and liked what you saw, chances are you’ll also enjoy the Fairy Tale Fair in Patcham this Saturday. The Fairy Tale Fair has a whimsical take on craft fairs is most definitely fun for all the family. 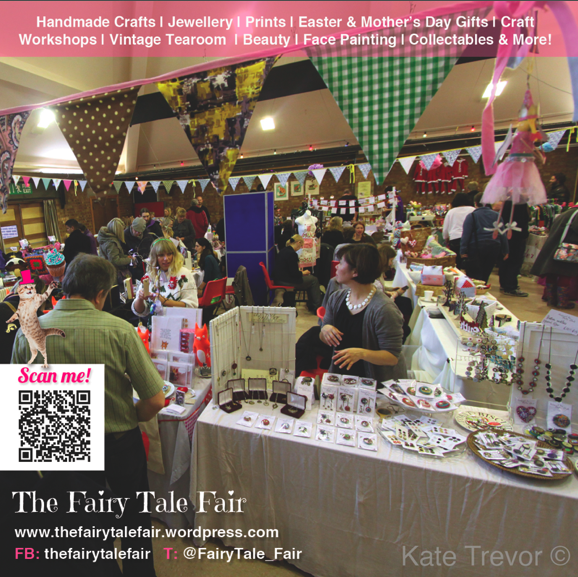 Launched in Summer 2012 The Fairy Tale Fair is back this Spring for it’s third fair. The debut August fair and Christmas special in November were both huge successes and have received rave reviews from local press, visitors and stall holders alike. 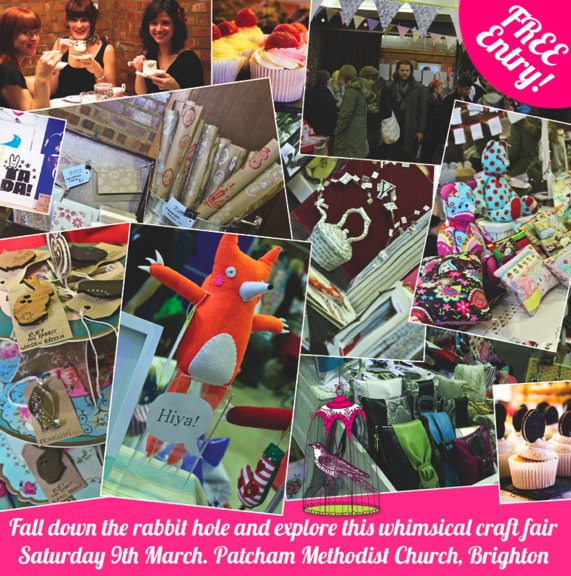 Saturday the 9th March 2013 (10.30am – 4.30pm) will see Patcham Methodist Church (Ladies Mile Road, Patcham, Brighton) filled with over 35 craft stalls. These will include prints, jewellery, handmade creations, a craft workshop room, vintage items, accessories, face painting, beauty and a vintage themed tearoom with lots of homemade yummy treats! The day is designed to bring the community together and as a great day out for all ages. The Fairy Tale Fair is the creation of Claire Montgomery. Claire is a Brighton based designer and illustrator who graduated in 2011. Since then she has gone on to work full time at Republique- a design studio in Hove, create her own greeting card range and most recently has launched her own laser cut jewellery range. You can find out more about Claire’s creations on her website. Claire will be just one of the talented stall holders at The Fairy Tale Fair with unique, handmade Mother’s day and Easter gifts. Entry is FREE so bring along the whole family and all your friends! Please see their blog for interviews, updates, location and links to social accounts. Don’t miss out- it’s going to be magical! The Fairy Tale Fair: Christmas Family-Friendly Fun! Hi Claire, please introduce yourself and your event! 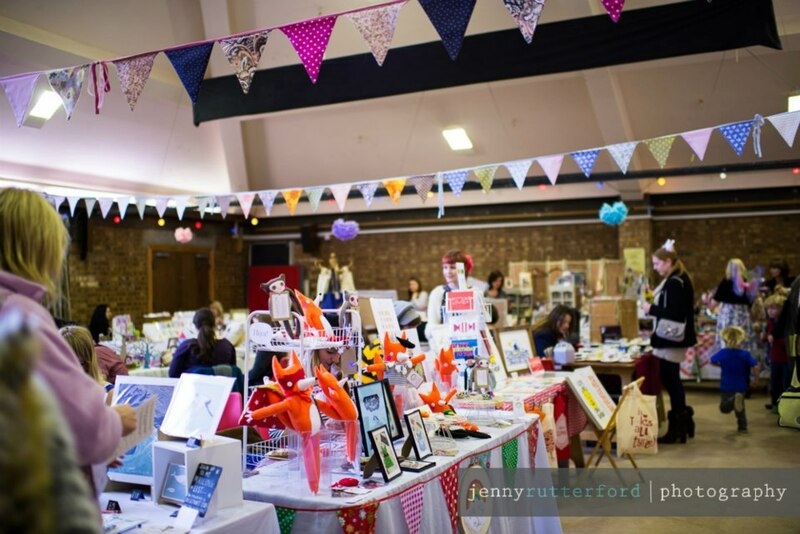 Hello, my name is Claire Montgomery and I organise The Fairy Tale Fair– a whimsical craft fair with a difference in Brighton. I dreamt up the idea of the fair back in May this year and wanted to create a craft event that also involved children, workshops and of course cake! A few weeks later The Fairy Tale Fair was born and everyone seemed to like the idea straight away. I sent emails out to Brighton crafty people and stalls quickly filled. We had our first event in August this year which was a real success and we got such positive feedback and nice comments! We even had people travel from London, Kent and beyond which is great as we are only a local fair. That’s fantastic! What can we expect from this forthcoming event? After the success of a summer fair I am currently organising the next Fairy Tale Fair, which is a festive special on Saturday 24th November 2012. 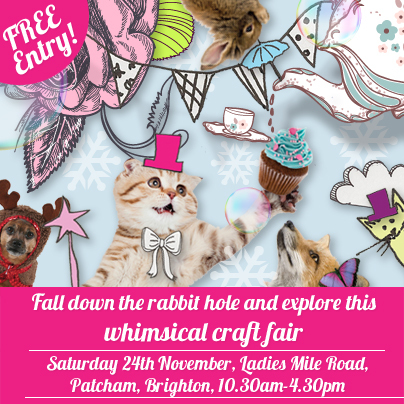 Fall down the rabbit hole and explore what we have to offer…We have a new bigger venue at Patcham Methodist Church in Brighton (full location details on the blog), and there will be 35 stall holders selling handmade crafts, jewellery, festive gifts, vintage items and more. There will also be a room for children’s craft workshops, face painting, beauty, and a vintage tearoom run by the lovely Mayflower Events wedding company. We want the event to have a real community feel and want to bring people together and make it a real enjoyable family day out. Why bother with the busy shops, standing in queues and paying to park in town when you can visit The Fairy Tale Fair and get beautiful, affordable handmade gifts made by locals that you won’t find on the high street? There is also free parking and you can stop and have yummy tea and cake on vintage china whilst you are there! If you live in Brighton and haven’t seen posters, leaflets or flyers for the forthcoming City Reads festival, then you must have your eyes shut! This well advertised event is set to take place over September and October and local crafters, designer-makers and vintage fans can get involved. The City Reads festival is an annual citywide ‘big read’, conceived to spread a love of books and ideas to the widest possible audience throughout Brighton & Hove. The concept is simple: selecting one book by one author for the whole community to read, discuss, debate and creatively engage with in a series of special events, workshops and performances. 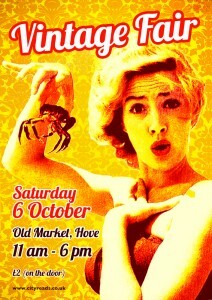 Well, one of the events they are organising is a Vintage Fair at The Old Market, Hove, which promises to celebrate 1950s culture. There are many exciting vintage and vintage-y themed sellers already lined up but some pitches are still available. So if you are a designer-maker whose work has a vintage/retro bent, head over to their traders page for more details. For further information, email Vicky at vicky@cityreads.co.uk.